Peoples Panel - one participant has described the process as a bit like dancing at theTrader Ball on Monday night - one step forward, one step back, then turn yourself around. With so many participants, including some with very little knowledge of the market, this has been a long process. But the decision to extend deliberations for two more sessions bodes well for their commitment and the possibility of some useful outcomes. Peoples Panel 2 - another participant suggested that Heritage Victoria were one of the few groups to make sense at the Panel. Although his colleague pointed out that when you only have to say yes or no, are not obliged to provide corrective action, and have no responsibility for achieving business outcomes, it is very easy to sound impressive. The ones trying to delve into an uncertain future, experiment, trial, develop strategies and create responses to retail decline have a much harder job. Visitor Centre - there was consternation from a number of traders at the noise, smell, and distraction created during trading hours by work on the new Visitor Centre at the bottom of L Shed. QVM Management would normally schedule these activities outside trading hours but this is a CoM project and somehow that message got lost. Visitor Centre 2 - another trader agrees that avoidable construction work during trading hours is inappropriate although he points out the big picture is a lot more positive. The premier visitor centre for the City of Melbourne is now actually within our market. That is a significant move and can only enhance our tourism credentials. In the meantime let’s hope the contractors do most of their work on Monday and Wednesday or after trading. String Bean Alley – Sunday produced bumper weather for our outdoor trading areas and a few traders in String Bean Alley reported good business. One had his best day for the year. Reports from under the sheds were not so bright. Trader Ball – now the minds have cleared from Monday’s Trader Ball there seems unanimous opinion that the night was a success. Although one trader complained that the awards got in the way of more socializing. Mixing up the seating so that a variety of precincts were represented at each table seemed to work really well. 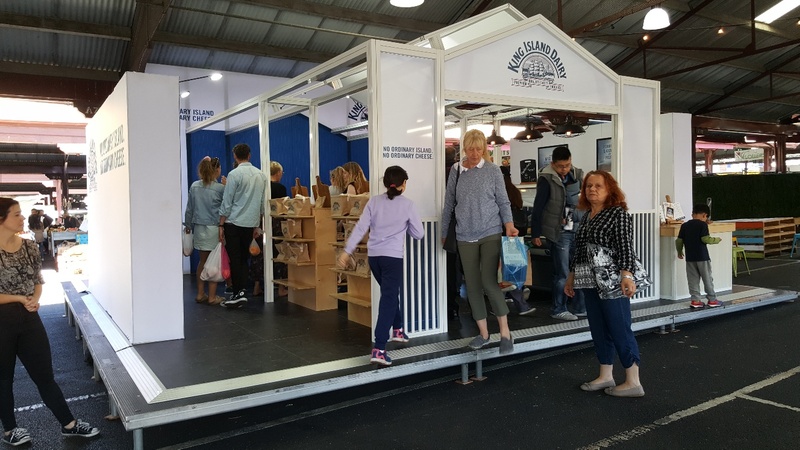 King Island Cheese pop-up in A Shed drew a few favourable comments from traders for its attractive and professional appearance. We’ll let the picture tell the story. A Trader received his Dandenong Council rates notice this week and with it was a leaflet advertising the Dandenong Market Christmas program. It struck him as a great way to get the message out to all residents and wonders if CoM have done the same. Engage, Engage, Engage - a bit of a coincidence, but two traders this week were keen to promote the unique difference that we can offer by simply actively engaging with our customers. While retailers generally look at reducing staff (some removing them altogether) we can create a retail experience by simply engaging and being sociable. The view from both traders is that many customers love it. 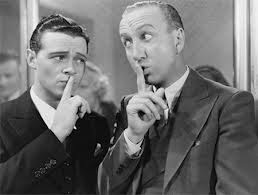 Mentors - a trader says he is engaging with mentors once per week and is impressed with the business tips and ideas that come up. He recommends that every trader finds time for a quick discussion with a mentor.